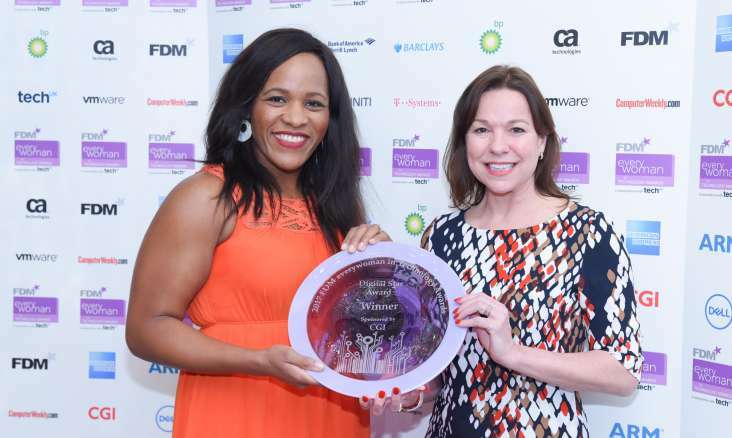 The eighth annual FDM everywoman in Technology Awards, in association with techUK, is now open for nominations until Monday 16 October and seeking those individuals whose achievements not only influence those they work with, but also the next generation working in the UK’s technology industry. This year’s programme will have a focus on identifying and celebrating role models to help inspire tomorrow’s world. Our recent study revealed that access to female role models plays a huge role in retention of female talent, with “being able to see what I can be cited as the number one factor why women in tech stay in their roles followed by knowing their organisation is committed to, and investing in, gender parity. The research identified a lack of role models for young girls as the biggest cause of the gender gap in tech, which is why we recognise young talent in this programme. Although it has been promising to see a recent increase of 13,000 more women working in STEM occupations, the proportion of the total workforce made up by women has decreased from 22% to 21% since 2015*. And with the need to fill a further one million jobs in the industry by 2020** everywoman remains committed to changing the landscape for women in technology. With three new categories introduced for the 2018 programme, entries are open to a wide variety of talent, from founders of truly innovative technology businesses to those implementing significant change in the organisations they work for. Entrants can be at any stage of their career, from young students or apprentices to innovators and senior leaders. New category awards are the International Inspiration Award, the Apprentice Award and the Male Agent of Change Award, awarded to a man for his active commitment to advancing the progress of women working in technology. Rising Star Award- sponsored by T-Systems – awarded to a woman aged under 26 who is excelling in her technology career, making a valuable contribution to her organisation. Entries are open from 1 August – 16 October and full details are available online at www.everywoman.com/awards. The 2018 FDM everywoman in Technology Awards ceremony will take place at The London Hilton on Park Lane, 8 February 2018.